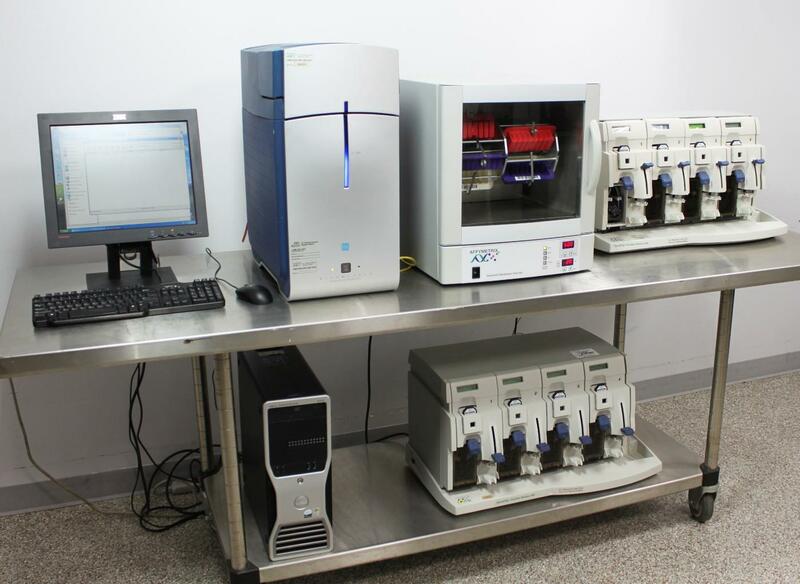 Affymetrix GeneChip 3000 7G Microarray Scanner Autoloader Oven 645 Fluidics 450 . New Life Scientific, Inc. Tested Using Human Genome Chip. 90-Day Warranty. been tested by knowledgeable technicians. who has experience with the Affymetrix GeneChip series of instruments. cosmetic wear and some scuffs on the scanner. fluidics stations and hybridization oven was also tested and confirmed. not included and need to be acquired prior to operation.